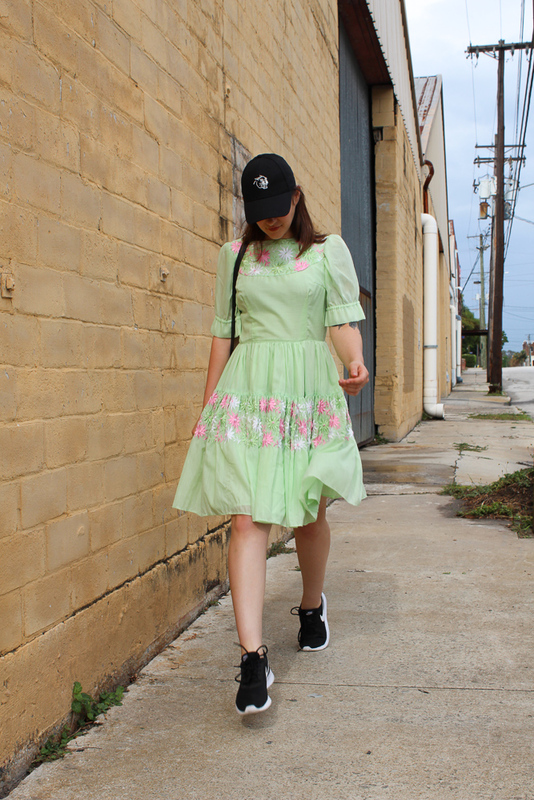 Outfit details: vintage dress, Forever 21 hat, Everlane bag, Nike Tanjun sneakers. It's no secret that I am a vintage aficionado. I collect it, love it, wear it, etc. In more recent years, I finally learned to be more selective and keep my collection to a manageable size (this statement is still up for debate by anyone who's seen my vintage hoard). This is a huge improvement from a couple years ago when I would buy vintage by the boatload, regardless of whether I actually liked it or not. A part of me always thought, "well it's a piece of history and if I don't preserve it, who knows what will happen!" 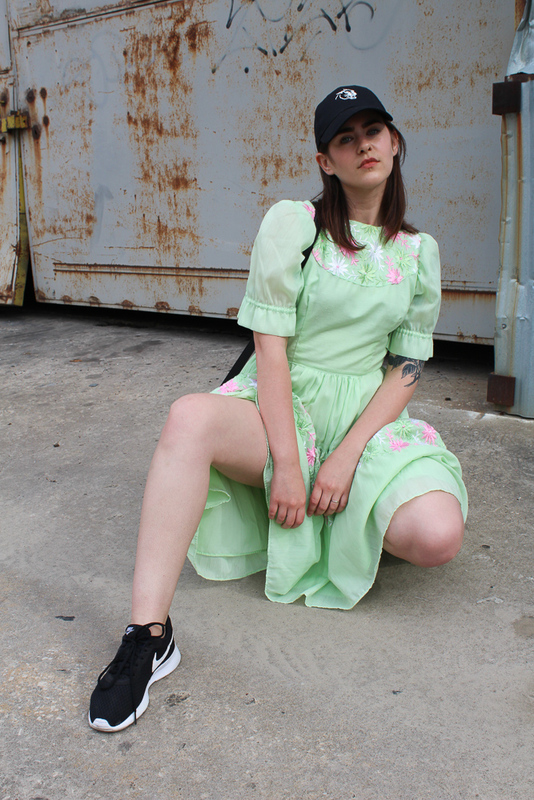 I even had a sort-of blog called That's Not Trash It's Vintage. I first fell in love with vintage when I was in middle school. I had an acting teacher who hoarded vintage costumes, and I loved spending an afternoon playing dress up in all the elaborate gowns. There was a thrift store on my walk home from school, and I remember so vividly walking by one day and seeing a pair of black and white polka dotted granny shoes in the window. They had a pointed leather cap toe and chunky heel. It was like a movie moment as I pressed my face up to the glass. A few weeks passed and l I finally bought them. ANYWAY the point of this tangent is... 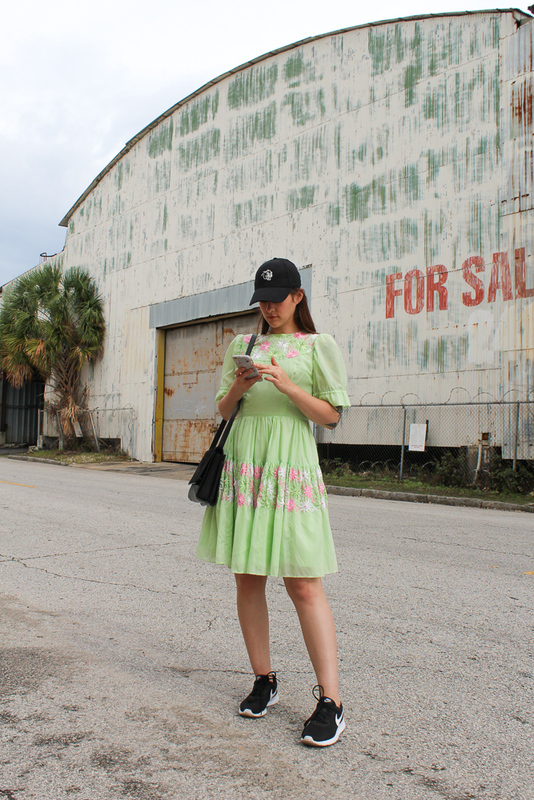 I love my vintage dresses and I always have. This one reminds me of an Easter egg. It has the most divine embroidery and an extra full circle skirt that no modern dress ever seems to replicate. I started calling it my Quinceañera dress, and the name just stuck.